The past few years haven’t been easy for the IT staff at Wake Forest, but after putting their blood, sweat, and tears into becoming an integrated health system, it’s time to have some fun, according to Chad Eckes. 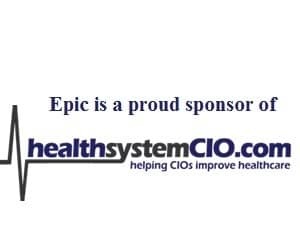 Nine months into his tenure, the CIO is shifting the focus to optimization of the Epic system, and innovation, whether that means leveraging the latest technology or simply identifying new ways to engage with patients. In this interview, Eckes talks about the opportunity he saw at Wake Forest, the need for organizations to “get creative” when it comes to reducing costs, the next big projects on his plate, and how he keeps the ear of his staff. Unless you’re the very large healthcare enterprises, most companies would pick one path or the other. We chose the network front. It’s an opportunity for us to improve quality while either maintaining costs or maybe even reducing costs in some cases. By merging together onto a common DR data center, we could place the center in a location that offers protection for all three sites and collapses the cost of having those individual three footprints across the board. The like-minded nature of the teams plays a part, because these are complex relationships to pull together, and without that key aspect, I think the chances of success and getting to this point would have been far less. We’re aligning to make sure our versions are all the same. We believe that gives us an advantage in this case so we can do more information sharing and we can do more best practice sharing, and not have to traverse the gap of different systems. Gamble: Hi Chad, thank you so much for taking the time to join us today. Gamble: To get things started, can you talk a little bit about Wake Forest Baptist Health — what you have in terms of hospitals, bed size, the school of medicine, things like that. Eckes: Wake Forest Baptist is a large, complex academic medical center. It is a fully integrated health system that includes the College of Medicine, a very reputable college in Wake Forest Baptist, and it is associated with Wake Forest University. We also have a large medical center that includes well over 1,000 beds. We have an anchor site in our university hospital right in the heart of Winston-Salem, and then multiple community hospitals in Lexington and Davie. We also have a large number of clinics — approximately 87 different locations in terms of clinic access. We’re constantly growing. We have 11 emergency rooms, and on an annual basis, we do just shy of 1.1 million outpatient visits. In terms of inpatients, we have about 36,000 to 37,000 discharges, and in terms of emergency room visits, we do about 105,000 annually. The system also is unique in that we have this group called Wake Forest Innovations, which is really a third arm to the organization. That includes highly entrepreneurial public health science type activities where we’ll actually take our innovations from a research standpoint and market them to the external world. That allows a lot of creativity amongst the organization here. The system as a whole also is part owner of a clinically integrated network, so we’re really pushing the envelope from what we call ‘world one,’ the fee-for-service world, to ‘world two,’ where the provider is sharing in the risk with the payer. That is fairly new to the enterprise. And then we’re also a partner in the MedCost local TPA. Gamble: So there’s not much going on with you. Gamble: Okay, there’s obviously a lot there to talk about. I want to get into some of that in a little bit, but first I wanted to ask about the recent announcement that came out about the non-ownership alliance with Wake Med and Vidant Health — what the goal is there and what the organizations hope to achieve. Eckes: It’s a very exciting announcement that we’ve been working on for better part of six months. It really comes back to what we’re seeing in this industry with the large changes that are occurring with accountable care and some of the declining reimbursements. I think that the entire industry is getting squeezed, and as a result, people need to get creative. My prediction for quite some time has been that starting in 2014, we were going to start seeing some rapid changes on the mergers and acquisition front, and also the creation of networks. I feel that unless you’re the very large healthcare enterprises, most companies would pick one path or the other. At Wake Forest Baptist, we chose the network front. It’s an opportunity for us to improve quality while either maintaining costs or maybe even reducing costs in some cases. Over the last six months, there have been multiple meetings of the senior leaders, brainstorming and coming up with a targeted list of opportunities where we can come together and achieve these goals. In the IT area, for example, there’s some low-hanging fruit that the three entities see as opportunities; things like manage print programs that we could share, and centralization of disaster recovery environments. Right now, our three enterprises have two data centers each, and we each have both of our data centers in the same city, so there’s the risk of a tornado coming through or a hurricane coming through and wiping out the hospitals system’s redundancy in terms of data centers. By merging together onto a common DR data center, we could place the center in a location that offers protection for all three sites and collapses the cost of having those individual three footprints across the board. What we’re looking for there is basically co-location of the data center so that we wouldn’t exist on one system, but we would achieve the efficiently and the environmental aspects of a data center, and we wouldn’t have to buy extra cooling and power and UPS support and the like. Gamble: Is the goal of the common data center to be able to work with each other’s data down the line and do analytics? Eckes: That is one of the work streams that we would like to bring together. We exist in an environment where we’re complementary to one another. If you drew a circle around our patient impact, they have very little overlaps, and so the partnership here actually works out very well. From an analytic standpoint, it’s even better, so we can run in an identified state and look at population health management trends across all three integrated areas. Gamble: Right. Now as far as the organizations that you’re aligning with, what is it that made you choose them? What were you looking for in partner organizations? Eckes: To be quite honest, those discussions had already started before my arrival at Wake Forest, so I don’t specifically know the answer to that question. I will share my experiences over the last six months, which has been that leadership has been very aligned in terms of the goals and concepts and guiding principles that would be integrated in from this partnership. And so I think the like-minded nature of the teams plays a part, because these are complex relationships to pull together, and without that key aspect, I think the chances of success and getting to this point would have been far less. Number two, all three organizations really put a stake in the ground and said, we’re focused on quality, first and foremost, and what this could do to improve quality. Our second goal was where can we reduce expenses wherever possible. Gamble: It’s certainly a model that makes sense, which is why we’re seeing more of these pop up, because you have that ability to share the back office-type functions but can still remain independent. Eckes: It does make sense in a lot of ways, and I’ll tell you one of things we’re finding very beneficial amongst our groups is the fact that we’re all based on the same electronic health record system. We have broad Epic rollouts in all three entities, and we’re aligning to make sure our versions are all the same. We believe that gives us an advantage in this case so we can do more information sharing and we can do more best practice sharing, and not have to traverse the gap of different systems. Gamble: So you have Epic in the hospitals and in the clinics? Eckes: Correct. We have a very large rollout here. In fact, when we launched Epic, we went big bang across about half of our specialties. It was 59 specialties that went big bang, both on the ambulatory front, the inpatient front, the specialty modules and revenue cycle all at once. Gamble: I can’t imagine that’s an easy thing to do when talking about that kind of scope. Eckes: Yes, it was a big challenge for the enterprise. They went live in 2012, which was well before my time. Since my arrival here, we’ve done an upgrade from the 2010 version to 2012, and we also converted one of our last community hospitals to bring over onto the platform. Gamble: Now at this point, is the focus on optimizing the system as it is pretty much rolled out where it needs to be? Eckes: Yes. We have a couple very key focuses around our Epic environment this year. One is to optimize our revenue cycle management processes. Number two is to complete our roll out of Beaker, so we have some limited ancillary functions that are remaining on our Epic roadmap. Beaker is the lab portion and we’ve rolled that so far in our community hospitals, but we need to convert our university hospital main campus yet. Then we’re moving to Cupid on our cardiology front. We’re really to the end of all the different modules that we’re rolling out. And starting in October, we’re going to do the upgrade to 2014, which will go live in April.